StarLink, a genetically mod ified maize illegal for human consumption in the US, has been found in food aid distributed by the World Food Programme (WFP) in Central America. In February more than 70 environmental, consumer, farmer, human rights groups and unions from six Central American and Caribbean countries denounced the presence of unauthorized Genetically Modified Organisms (GMOs) in food aid distributed by the WFP, and in commercial imports of food originating mostly from the US. The organisations have requested the WFP to recall all food aid containing GMOs immediately. Food aid has been identified as the main gate for the introduction of GMOs in the majority of the countries of the region. “In Nicaragua our farmers produce enough food and the WFP should buy any needed food within our country, instead of using imported food with GMOs”, said Julio Sánchez from Centro Humboldt in Nicaragua. 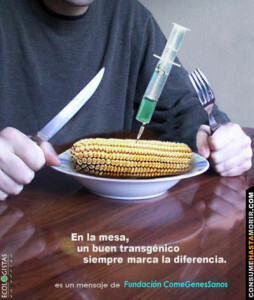 Samples of maize and soy, taken from food aid and commercial imports distributed in Nicaragua, Honduras, El Salvador, Guatemala, Costa Rica and the Dominican Republic, were sent to Genetic ID, an independent U.S. laboratory, to verify whether GMOs were present. In more than 80 per cent of all samples sent to the laboratory, GMOs were identified and the presence of GMOs in one of the samples was greater than 70 per cent. StarLink has never been authorized for human consumption anywhere in the world due to scientific concerns that it could cause potentially severe allergic reactions. This maize was initially authorized for animal feed, but in 2000 it was found in human food products and authorities immediately removed it from the market and banned its cultivation altogether. … In 2002, it was also found in USAID food aid sent to Bolivia. “It is not acceptable that a maize which is illegal for human consumption in the U.S. is distributed in our country. The appearance of StarLink contamination four years after it was banned clearly shows that genetic engineering of food is unpredictable and out of control”, added Mariano Godinez of CEIBA in Guatemala. Commercial imports of food containing maize and soy, mostly from the US, were monitored in Costa Rica and the Dominican Republic, countries which are not food aid recipients. Over 75 per cent of all the samples sent to the laboratory tested positive. “The confirmation of the presence of GMOs clearly shows that Costa Rica urgently needs a moratorium. In order to protect our population it is of the utmost importance now more than ever to apply the precautionary principle”, said Fabián Pacheco of the Social Ecology Association in Costa Rica. ENCA Newsletter no. 38 (June 2005), pp. 11-12.